Join up with a team of green fingered detectives as they explore the hidden world beneath your feet on Ainsdale dunes next month. The Gems In The Dunes series of talks and walks is proud to bring you their latest Lottery funded educational talk all about Bryophytes – the smallest and most fascinating plants on the Sefton Coast. 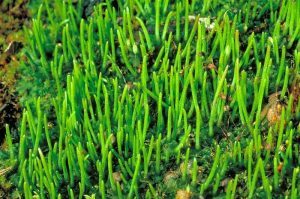 The talk, which takes place at Ainsdale Discovery Centre on Thursday November 1 from 10am, also provides training to allow you to survey bryophytes including bryums and Petalworts. The day long event will include lessons on identification, lifecycle, habitat requirements and of course how to survey them. In the morning attendees will have the chance to learn the theory behind Bryophyte conservation followed by an afternoon walk to see them in the wild. Booking is essential. For more information call 01704 571 575 or email gems-in-the-dunes@arc-trust.org.